Parents traveling with kids understand the challenge of finding activities to keep the holidays interesting for all ages. Piero and Elena, owner and guide at Bike Florence & Tuscany know how to transform Tuscany, its food and history, into the kind of adventure that kids love. Their itineraries reflect a wide range of destinations, adapting to interests and skill levels of the participants. Years of experience on the road with families have them particularly sensitive to pacing the adventure and keeping it safe. Above all, this duo has designed their kid friendly itineraries to bring groups and families together with fun, laughter and activity. There are two principle tours geared for the enthusiasm of young riders and their skill on a bike. 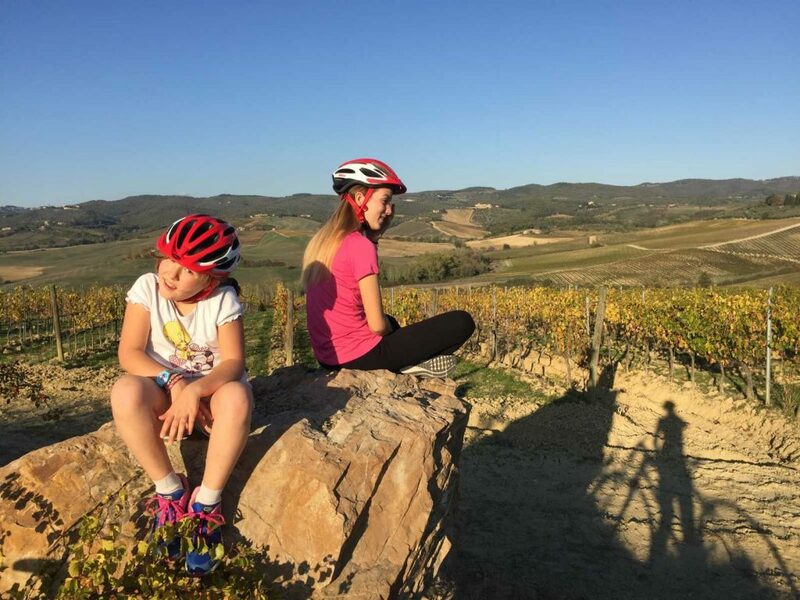 Elena normally suggests that her guests look at: San Gimignano to Siena Tour and the Downhill to Florence Ride when traveling with kids. These adventures mix all the right incentives for ages ranging from pre-teen to high school students. The itineraries encourages them to engage in the activity while they get to see the best of Tuscany. The first tour features a medieval town itinerary which teases the imagination with the idea of knights in shining armour and lofty lookout towers. The mainly backroad paths keep it safe for kids and those classified as “occasional” biker riders. The second tour, starts above Florence and glides into the city of Fiesole before ending in the “Renaissance City”. Bike Florence & Tuscany have been guiding groups in the Tuscan countryside and hills outside of Florence for several years. Piero and his experience with bike mechanics, takes special care that the bikes are in excellent condition. Everyone has saftey gear! He pays attention to the helmet fit, bike height, and the correct use of the gears, brakes and pedalling. After the fitting of the bikes, Piero is a constant presence in the support van — just in case someone decides they prefer to skip the next hill. There is never any pressure to go forward or sit it out; the rhythm is set by the bikers and not by a tight time schedule! 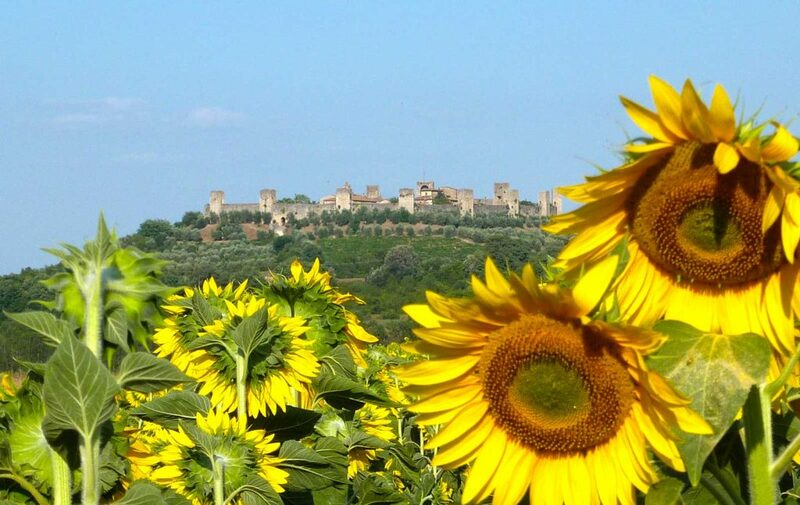 Then there is the watchful eye of Elena, who will lead you through the antique trails of the famous via Francigena, fields of sunflowers and vineyards. Elena is in the mix of it all, she is on the bike right there with you, leading the kids down the paths and roads. She takes time to indicate points of interest and offer words of encouragement to spur on even the most resistant family member. 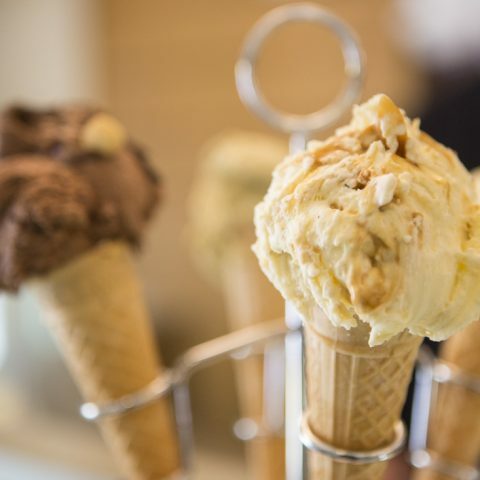 Of course, she will also point out the best gelato shops in every town, which is the perfect incentive to keep on pedalling. Her job as leader of the pack is to set a pace that everyone can enjoy while keeping the tour full of energy. Elena is in constant contact with the support van via radio, and signals when snacks, water or a panoramic break is in need. The idea is to combine the great views, the distinct flavors of Tuscany and fun! The itineraries are not only diverse in their scope, including activities for all ages, but they are flexible for all levels of skilled riders varying in length and dislevel. 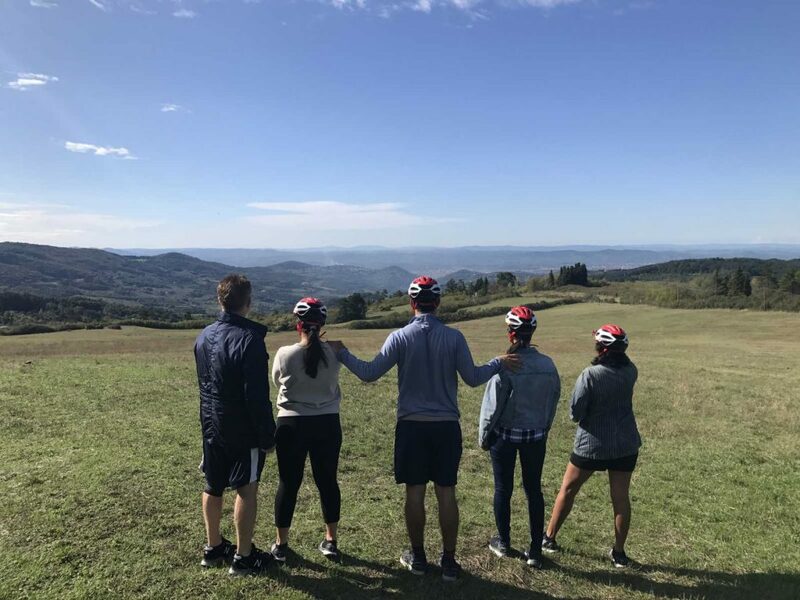 The team at Bike Florence & Tuscany is dedicated to combining the right tour with the right skill level and family interests. The San Gimignano to Siena Tour covers three of the most popular towns in Tuscany. Each stop on the tour gives you ample time to explore on foot at a time when the city is the least crowded. While out in the countryside you can’t help but admire the landscapes and the skylines of the medieval tower towns. 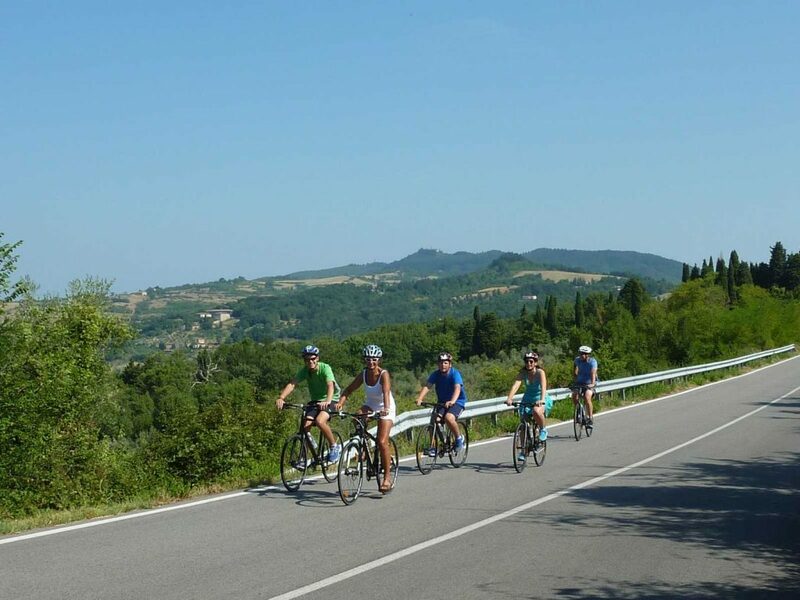 A bike tour in Tuscany or Florence will allow you to combine different activities and interests; the kids will be having fun eating ice cream, while the adults will be tasting some of the finest wines from Monteriggioni and Chianti. An important feature of the tour is that the fun doesn’t stop because someone is tired; the support van always has room! The van follows the same itinerary and same great views as the bikers, stopping frequently with water and energy snacks. There are those who want the culture, food, wine and traditions. Then there are those who want to visit the small towns and vineyards, admire the landscape and study the artwork. Let’s not forget those who just want to shop till they drop! And we are just talking about the parents! But the kids, whatever their age, they just want to have fun! 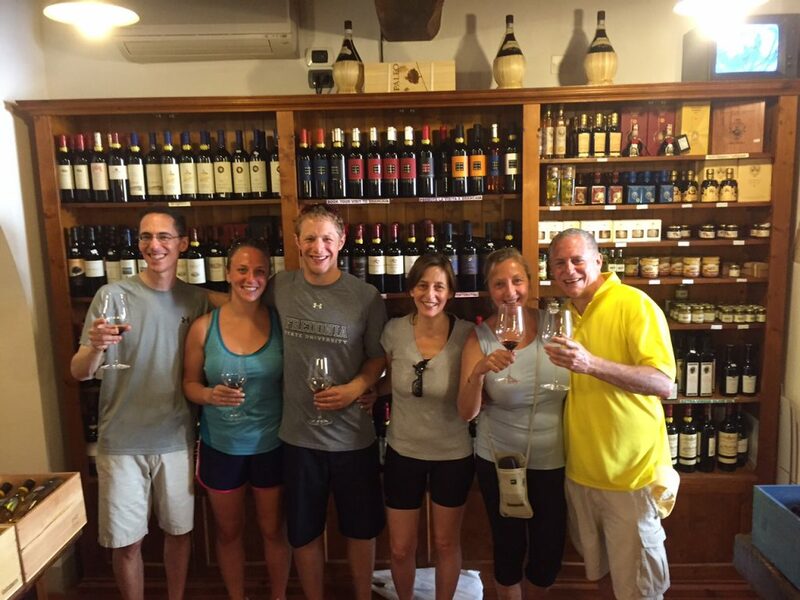 The team at Bike Florence & Tuscany understands that the beauty of Tuscany, Florence and Chianti needs to be made interesting on their level. 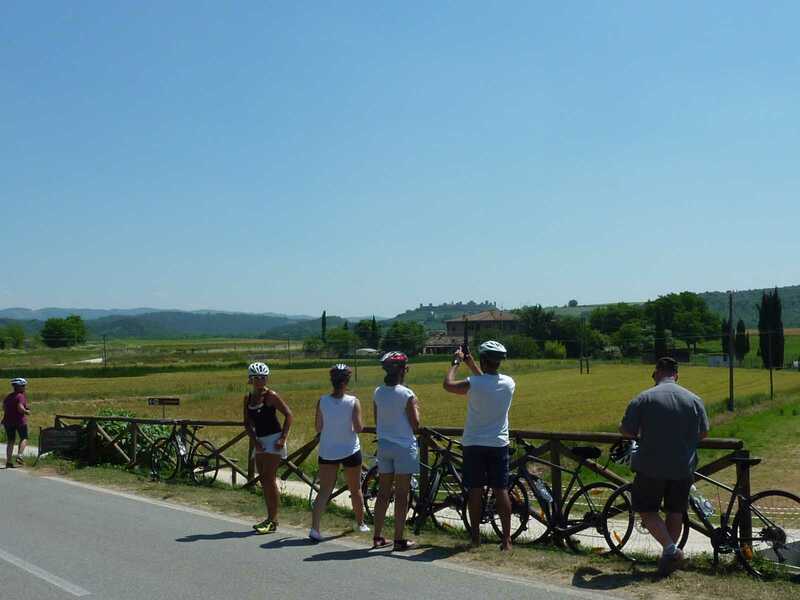 The best way to get them excited about Tuscany is to get the family pedalling on the easy and safe tours with Bike Florence and Tuscany. A bike tour will have them using up a bit of that pent up energy and have them create fun memories as a family.